The Cardinals are always there. They're never the flashiest team. Not since the signing of Matt Holliday have they been big players in the free-agent market. 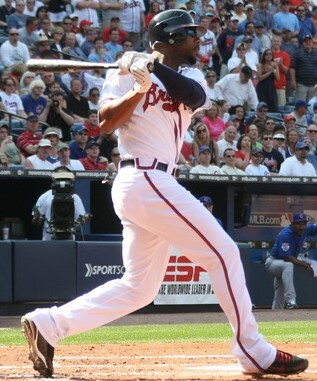 When they trade for a star like Jason Heyward, he only has one year of club control remaining. Despite the understated approach, this team finds a way to consistently escape the regular season. Once again, the team boasts depth and quiet star power. The rotation is strong top to bottom, although there are serious concerns about the ace. The first draft of the bullpen is strong, and there are notable reinforcements waiting for an opportunity like Matt Tuivailala. The lineup was reinforced over the offseason and should provide adequate run support. Wainwright has been a fantasy mainstay since 2007. It might be time to divest. His stuff has declined slightly, although that's not the main problem. He battled injury last season and ultimately required a minor surgery to trim excess cartilage from his pitching elbow. Moreover, he's over 700 innings removed from his last Tommy John. Studies have shown that the second UCL tends to blow after 400 to 800 innings (depending on the source). Combined with the elbow trouble last year, it's enough for me to target somebody else with the 59th pick. If you need more reasons, a 7.10 K/9 is not terribly impressive. If he has a healthy season, he'll make it hard for his roto owners to win the strikeout category. Lynn is something of an unusual pitcher. He's long featured an ugly platoon split because he's a fastball first hurler. The development of a cutter (or more accurately, a baby slider) has helped him to combat left-handed hitters. His 94 mph fastball is one of the best among starters. The pitch induces whiffs in 25 percent of swings. He also mixes in an above average sinker. He's rarely overdrafted. A popular sleeper last season, Wacha lost half a season to a stress reaction in his shoulder. At full strength, his fastball and changeup combo dazzle. He's still trying to refine a third weapon. His cutter and curve both show some promise but require further refinement. The partially lost season has bumped him to 36th among pitchers. As is, he's already a decent value at that price. If he can successfully integrate a third pitch, he could be a top 20 pitcher. Martinez will start the season as the club's fifth starter. His repertoire includes a 98 mph fastball, 96 mph sinker, and two excellent offspeed pitches. His fastballs are good, but the slider and changeup are filthy. He has the repertoire and stuff of an ace, and he's available late in the draft. He's quickly trending upwards, so ADP data no longer holds true. There is one very big problem – lefties absolutely crushed him last season. I recommend stashing him until he shows some good results against opposite-handed foes. When the Cardinals need a sixth starter, they have some good options. Jaime Garcia was on pace to claim the fifth starter role before arm fatigue sidelined. I suspect the Cardinals prefer to give Martinez room to grow against left-handed hitters, so Garcia could be strung along on the disabled list beyond what's necessary. He's a solid, rosterable pitcher for fantasy owners, but his penchant for injury kills any value. Use him until he breaks again and discard him. Of more interest is Marco Gonzales. He has a borderline elite changeup, although the rest of the repertoire trails behind it. He could grow into a fantasy regular. Rosenthal laid claim to the closer role just in time for the 2013 postseason. Armed with a 98 mph fastball and a lethal changeup, he looked ready to dominate in 2014. His surface level numbers were fine. Fantasy owners were happy to accept 45 saves, 11.13 K/9, and a 3.20 ERA. They were less pleased with suspect control, which led to 5.37 BB/9, six blown saves, and a temporary loss of role to Pat Neshek. Rosenthal has never struggled that much with walks, so there's a good chance for a rebound. He's walked one and hit two batters in eight spring innings. The Cardinals brought in Jordan Walden as part of the Heyward trade. He's actually very similar to Rosenthal – big fastball, iffy walk rate. He's the first string solution if Rosenthal comes out flat. The strength of the Cardinals' offense is their ability to field high OBP hitters at the top of the order. That starts with Matt Carpenter. He's an excellent real world hitter with a career .293/.379/.433 slash. However, his high contact approach doesn't include much power or speed. He's a decent bet to hit five to 10 home runs, but he probably won't steal more than five bases. Taken with the 145th pick, he's not particularly expensive. However, I prefer Chase Headley's modest five category profile. He's available 90 picks later. Heyward is likely to follow Carpenter. His career line is .262/.351/.429. Combined with Carpenter, that means the heart of the order will have plenty of opportunities for RBI. Unlike Carpenter, Heyward has ranged between 11 and 27 home runs and two to 21 stolen bases. The ceiling is a monster 5x5 season. Even if you get considerably less, it could be well worth the 76th overall price tag. Unsurprisingly, Matt Holliday has declined in recent seasons. The 35-year-old hit .272/.370/.441 last year with 20 home runs. He's one of the steadiest players in baseball, but his days of hitting .300 are probably behind him. If he remains healthy, he could easily drive home 100 RBI. His average ADP is 97. He could be a quiet bargain at that price. Whoever hits fourth – ostensibly Yadier Molina – will be the primary beneficiary of three OBP monsters. Assuming it is Yadi, he could be a sneaky good option in two catcher leagues. Don't count on a repeat of his 2012 season (65/22/76/12/.315), but he should be a reliable source of RBI and average with some power. Sleepers are hard to find in St. Louis. After a terrible spring, Kolten Wong is sliding down draft boards. His ADP is still up around number 100, but I've seen him go much later. If he gets it together, he can hit 10 to 20 home runs and steal 15 to 25 bases over a full season. His other categories are somewhat less reliable. The Cardinals are the fourth team in our power rankings. They don't have the dynamic offense of the Red Sox or elite pitching. Instead they'll rely on a well-rounded club with plenty of above average players. Without a lot of muss or fuss, the heart of the order could pump many runs across the plate. They should be among the top teams in a very competitive NL Central.